A look at extra arts education in K-8 classrooms shows the arts can help boost academics and emotional learning for kids. Immigrant advocates are not happy about a policy allowing court hearings by video conference. On the Tuesday Health Watch-the term "heart failure" is misleading. Your heart hasn't stopped beating. Instead, it can't pump enough blood and oxygen to support other organs in your body. The CDC estimates half the people who develop heart failure die within five years of diagnosis. But Dr. Justin Grodin with the UT Southwestern Medical Center tells Sam Baker medical advances are making options available. An exhibit on display through April 27 at the University of Texas El Paso's Centennial Museum showcases the roots of El Paso's First Ward. Michael Hernandez spoke with author and border historian Dr. David Dorado Romo and Museum Director Daniel Carey-Whalen. Border authorities have been overwhelmed by the influx of migrants seeking asylum in the United States. This issues has communities and business leaders on the border concerned. 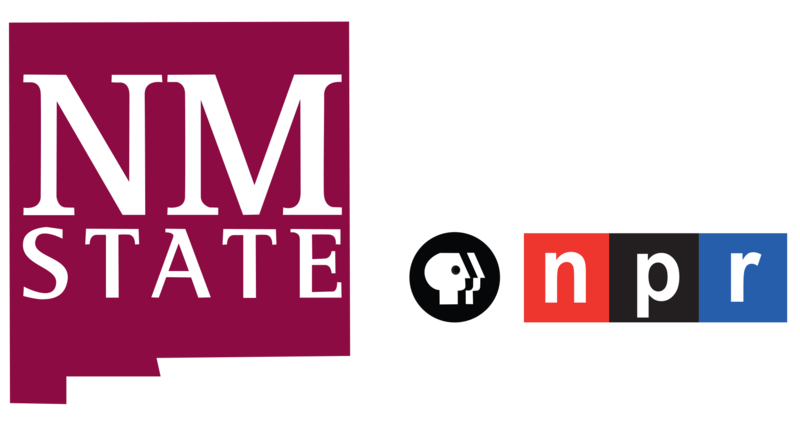 Anthony Moreno talked about this with Jon Barela, CEO of the Borderplex Alliance on "Fronteras-A Changing America" on television from KRWG Public Media. When it comes to placing foster children with families, New Mexico is doing better than most state across the country. A Texas Congressman says the redacted Mueller Report only leads to more unanswered questions. Algernon D'Ammassa comments on the electability of Democrats in the Presidential race. The New Mexico Mission of Mercy will hold a two-day free dental and medical clinic Friday, May 3 and Saturday, May 4 at the Las Cruces Convention Center. Emily Guerra spoke with event chair Dr. Michael Law. The country's leading legal society is recommending major reforms to the immigration court system. The New Mexico Reserve Corps have established a volunteer reception center in Las Cruces for those wanting to help assist with the influx of migrants seeking asylum in the U.S. Also, we get a commentary on how the City of Las Cruces is responding to the migrants seeking asylum in the United States. Immigration officials say their holding facilities are at capacity due to the large numbers of migrant families crossing the U.S.-Mexico border seeking asylum. Border Patrol has started releasing some families directly, instead of handing them over to CBP officials. In Las Cruces, city officials say they've accepted over 800 asylum seekers as the local community has responds to this policy change. New Mexico's General Services Department is moving to install energy saving upgrades to buildings, a new survey says Texas voters want to increase state money for public schools, but oppose raising sales taxes to offset cuts to property taxes. Also, we get a commentary on a local event that was a reminder of those who serve the nation in our military. The Albuquerque City Council has approved an amended retail plastic bag ban, and groups clashed in Texas over a new bill that would charge women who get abortions with murder. Moody's Investors Service expects natural gas prices to remain low into next year which means that's likely to lead to more gas being burned off into the air...a problem in New Mexico as well as Texas. In more news, Large numbers of migrant families continue to cross the US-Mexico border, claiming asylum. Many arrive in need of medical care; some become sick while they're in government custody. We visit one makeshift clinic in Southern New Mexico where volunteer doctors and nurses are stepping up to treat these newly-arrived patients. A recent poll finds 80 percent of Texans want the government to play a major role in the healthcare system and reverse the state's decision to refuse a Medicaid expansion under the Affordable Care Act. Also, with the outbreak of measles due to parents refusing vaccinations for their children, we learn about the risks for children and adults. Border Patrol drops off migrants in Las Cruces. Also, to come up with solutions to environmental problems, engineering students from across the country competed at NMSU. Authorities are investigating human remains found in the Organ Mountains. Also, businesses are raising concerns due to large wait times at the border for truckers with cargo. A new free charter school opens in Las Cruces. We learn more about Raices Saber Xinatchtl Community School which offers bilingual elementary education. Texas political leaders announced a plan Wednesday to lower property taxes by increasing the sales tax. Democratic U.S. Representative Dab Haaland has announced she will not run for the U.S. Senate seat held by Senator Tom Udall who announced he was not running again. Also, we get a commentary about Congressman Ben Ray Lujan's announcement that he will seek the open U.S. Senate in New Mexico in 2020. The Las Cruces Museum of Nature and Science recently hosted a workshop teaching community members about some local citizen science projects available. The Trump administration has pulled some customs and border protection officers from ports of entry to assist with the influx of families seeking asylum leading to long wait times for truckers delivering gives. Also, members of the Texas Senate move forward legislation to protect a person's occupational license should they refuse service based on their religious beliefs which has concerned some worried about possible discrimination. Also, we get a commentary on how party politics can be very controversial. New Mexico's congressional committee sponsors legislation to halt federal leases for oil and natural gas development near Chaco Cultural Historical Park, The Postal Service unveils a new stamp featuring mural from Deming post office. Also, Texas farmers are pushing lawmakers to set up a system for regulating the industrial hemp industry. An upcoming workshop for mental health professionals offers new information on a new approach for treating people with mental illness or chronic disease. Julian Castro, a Democratic presidential hopeful will host a counter rally during President Donald Trump's visit to San Antonio. Also, concerns over e-cigarettes usually center on youth, but according to research it's a problem to watch among pregnant women. Community schools provide wrap-around services, like counseling and a food pantry. To learn more we visit Lynn Middle School in Las Cruces to find out how this model school is making a difference. New Mexico Governor Michelle Lujan Grisham signs budget bill, Representatives from California visit El Paso to get a first-hand look at immigration and border issues, and we get a commentary on U.S. international policy decisions. A local non-profit educating the community on a healthy lifestyle is hosting a fitness expo this weekend. The Associated Press reports that President Trump is easing up on his threat to close the border with Mexico, and that's good news for many businesses connected to trade. Also, U.S. Senator Tom Udall announced that he was not running for another term. Udall helped lead legislation that was recently passed to protect more public lands. This week, we get a commentary on a bill Senator Udall could not pass. New Mexico Governor Michelle Lujan Grisham signs a bill that reduces penalties for possession of small amounts of marijuana. Also, a preview of the April edition of Desert Exposure. KUNM's May Ortega reports that more New Mexico teens are using e-cigarettes. Support for KUNM's Public Health New Mexico project comes from the W.K. Kellogg Foundation, the McCune Charitable Foundation, and from KUNM Listeners. Former Congressmen Beto O'Rourke formally announced his presidential campaign last weekend. We get an in-depth look at O'Rourke's campaign and its deep connection to the immigration issue. New Mexico Governor Michelle Lujan Grisham signs legislation to raise the state's minimum wage. Also, we learn more about how students at NMSU's FIDO Lab train dogs for the blind.